When I started this blog back in the summer of 2009, Edmonton was a vastly different place than what it is now. Ask anyone who has lived here for at least a decade and they'd likely agree with me. In fact, I had started this blog because I was sick and tired of hearing people - both locals and visitors - put down my hometown, calling it names like "Deadmonton." I wanted to prove to these people (and perhaps myself, too) that Edmonton was so much more than just the Oilers and the mall. By the way, if you've lived here long enough, you know what I mean when I say "the mall." I tend to tell people that I believe the new Art Gallery of Alberta - which opened shortly after I started 'I Heart Edmonton' - was a sort of catalyst for the transformation of our city. It is a world-renowned cultural hub that has spurred interest and investment (mostly) in our downtown, a kind've ripple effect that has taken on a life of its own. 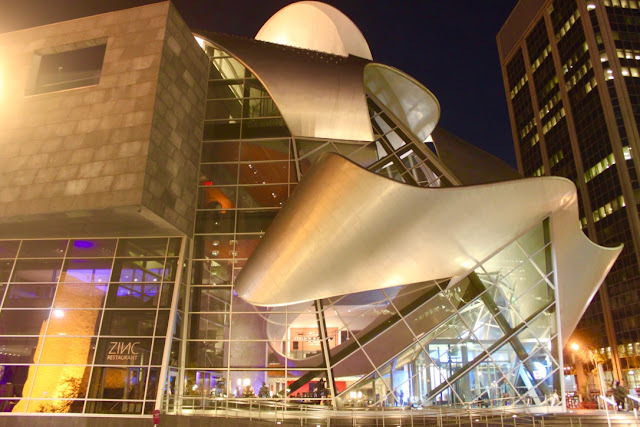 Edmonton's downtown has rapidly become a bustling centre of economical and social growth, especially around the Ice District and its anchor, Rogers Place. With this blog, I want to capture the transition of Edmonton and the people who luckily call it home, and it's been quite the experience so far. In such a short period of time, even the attitudes of Edmontonians has changed substantially. 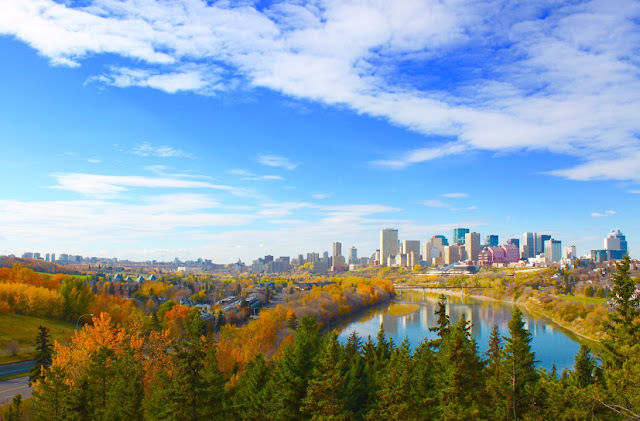 These days, I hear people talking about how proud they are to live here, or how excited they are about some new project popping up in town, or about why they think Edmonton is a special place that we're more than happy to brag about to out-of-towners. There's been a shift, no doubt, and this blog has been there for the entire ride. As of 2017, 'I Heart Edmonton' has shifted itself as well, but not so much that our loyal readers won't recognize it any longer. I'm still going to feature Edmonton first and foremost, but the blog will also take a more personal route as well. For example, I will include posts about my own life and things that matter to me in addition to what matters to my fellow Edmontonians. It is my way of maintaining a strong personal interest in the blog, so that I am able to continue with it rather than letting it fall to the wayside (again) because I have become bored with the "same ole." My name is Emil Tiedemann, and I love Edmonton! It's my hometown, where I was born (way back in 1979) and raised, and where I'm sure I will die one day in the far, far off (I hope) future. Since 2009, I've been happily promoting and celebrating what Edmonton has to offer...and trust me, it's an endless mission. In the meantime, I myself have discovered soooo much about Edmonton; its talent, its places, its history. I'm very proud to be a part of a city like this. Anyways, more about me!! I'm also an avid amateur photographer who'd love to spend his golden years snapping pics of foreign lands and such. Who knows?! I enjoy going to the movies, listening to all types of music, watching TV, traveling, eating, sleeping, reading, zombies, and spending precious time with my amazing family and friends. I couldn't live without them. Seriously. I'm a very lucky man. So, I guess that's me in a nutshell. Nobody special, just someone who likes to point out the special in others. And Edmonton is stockpiled with it! Just saying. So, I'm going to continue to do what I do for as long as you folks allow me to. Thank you for reading, and make sure you take care of yourselves and each other. Cheers!